Summary Description: 1 skier caught, buried and killed. 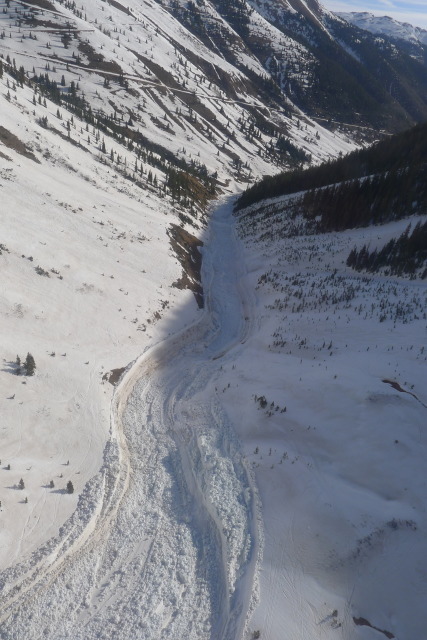 The avalanche was a wet slab, triggered by a skier on a convex terrain feature, medium sized relative to the path, large enough to destroy a car or a wood frame house, damage a truck, or break a few trees (WS-ASu-R3-D3.5-O). The slab broke within the old snow layers consisting of moist, faceted-snow grains. 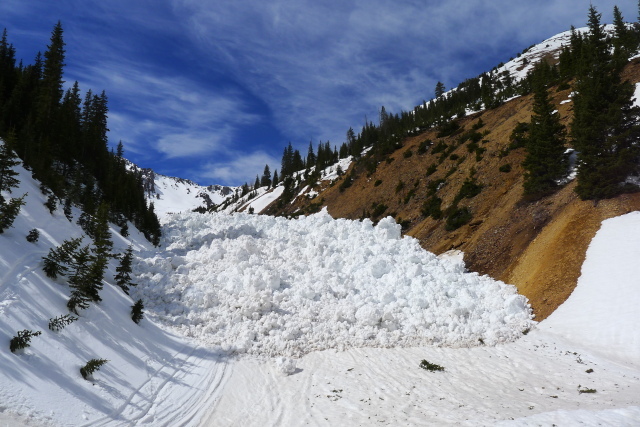 The avalanche started on a southeast aspect at 12,800 feet. 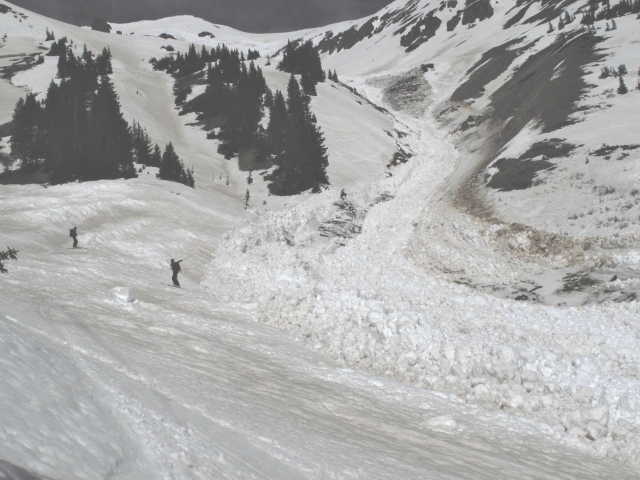 The average slope angle at the starting zone was 36 degrees, though measured as steep as 40 degrees in some areas. The crown's average depth was 3 to 5 feet. 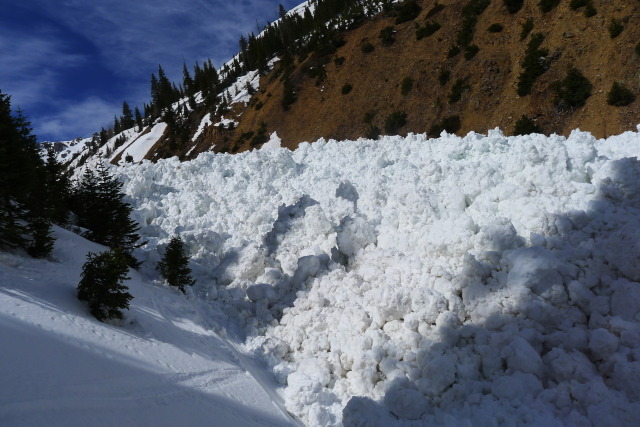 The avalanche was over 500 feet wide, ran 2000 vertical feet and traveled over one mile. 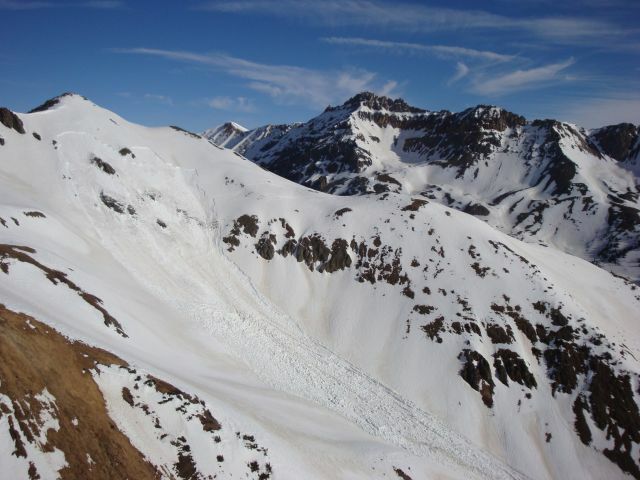 The day of the accident was the warmest day of the year for alpine areas in the San Juan Mountains. 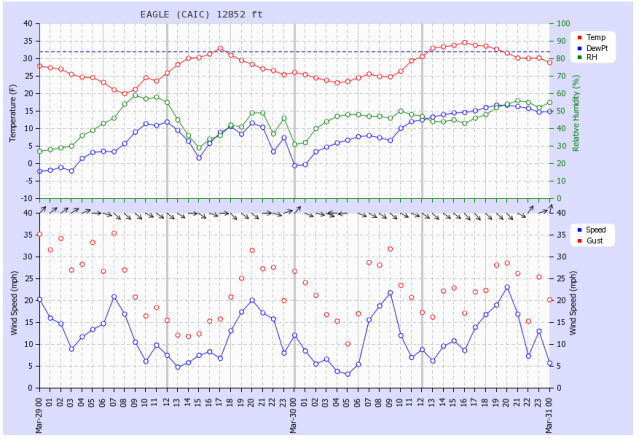 Temperatures at nearby weather stations climbed aboave 32F at 13,000 feet. The high temperature for the day occurred during the 4:00 PM hour. Winds were westerly 5-15 mph on the day of the accident. The weather leading up to the accident had been uncharacteristically warm and dry. High temperatures reached well into the 40’s at 11,000’. Snowfall for the month of March was 56% of a 37-year average with 29 inches of snow and 2.12 inches of water. The area received below average snowfall over the course of the season. 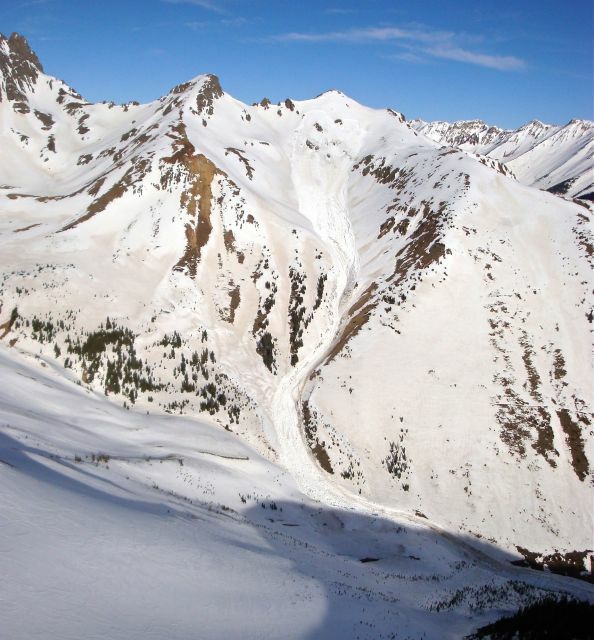 The season’s below average snowfall resulted in a thinner snowpack with a persistent weak basal layer. A group of 15 friends and acquaintances set out for the Opus Hut, near Ophir Pass, on Friday March 30th for a weekend of skiing. They arrived at the hut around 1:30 PM. After settling in, they broke into smaller touring groups and headed out for an afternoon ski around 2:30 PM. A party of four (3 males and 1 female) toured up to a nearby summit. The group's initial ski goal was an above treeline, northerly aspect. However, they ultimately chose to descend a southeast aspect in the same vicinity. The party did not observe any signs of instability, although they did punch deep into the damp snow in a few places. They described the weather conditions as warm temperatures and no wind. Skier 1 descended the slope while the other members of the party watched from the summit. He made several turns before dropping over a convexity. 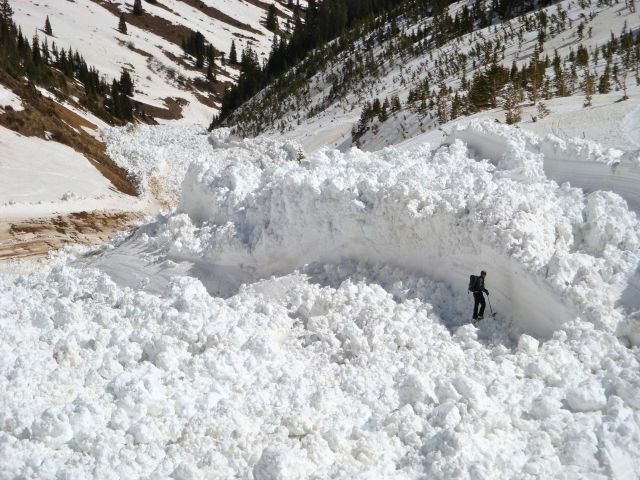 As he descended the convexity, avalanche broke ~50’ above him. Skier 1 disappeared quickly, engulfed in fast-moving snow. 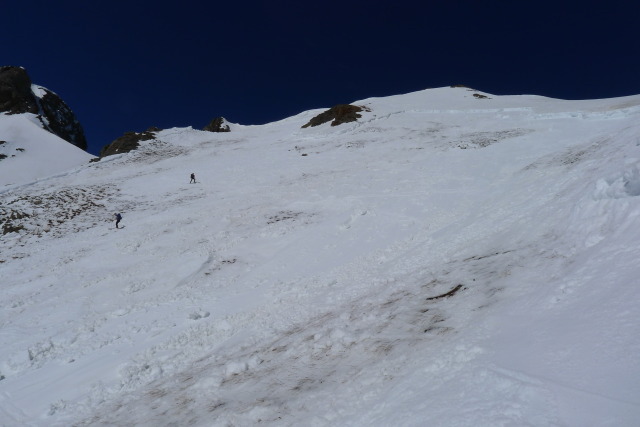 The three remaining members of the group switched their avalanche beacons to receive and started searching for Skier 1. Two of them concentrated their search on an upper portion of the debris. 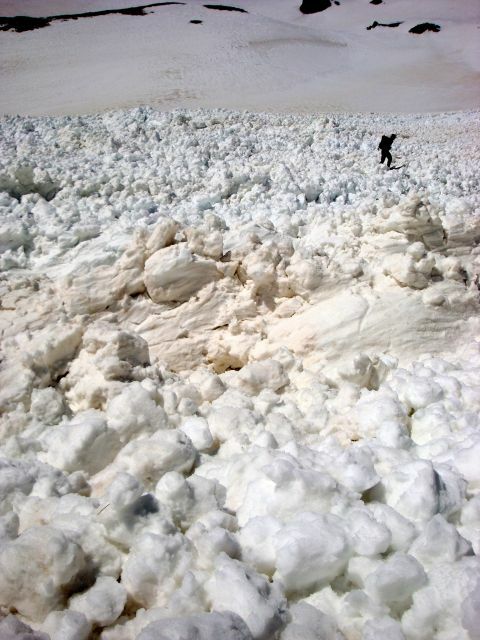 Since they had not found a beacon signal, the third member (Skier 2) continued down the exceedingly long debris flow. 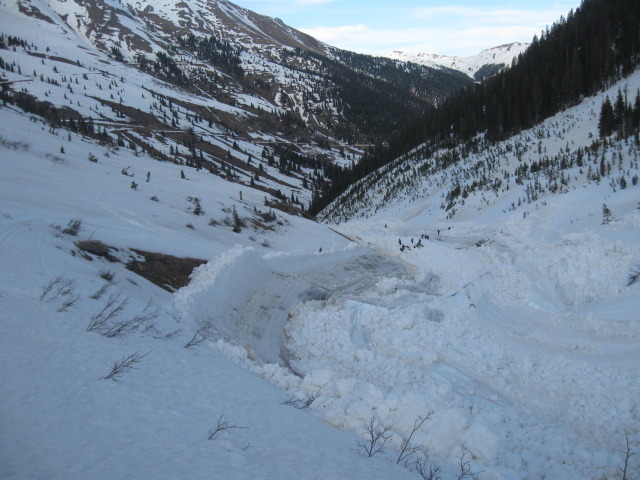 Traveling through the very rough avalanche debris took a long time. Skier 2 estimated he found the beacon signal 30 minutes after the avalanche released. 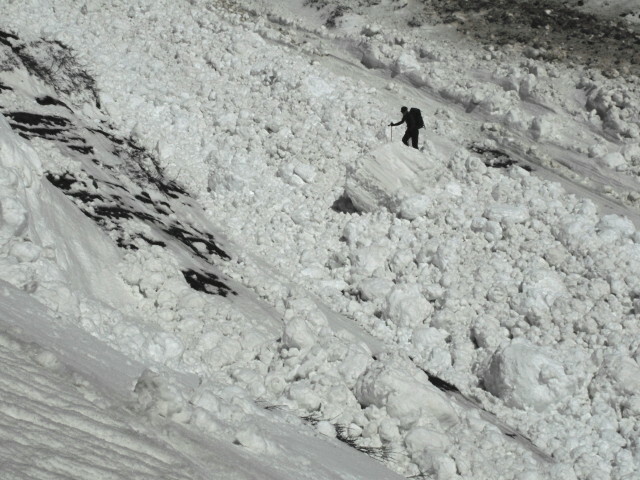 Skier 1 had been carried 4200 liner feet (1500’ vertical) in heavy, wet and chunky avalanche debris. After finding a beacon signal, Skier 2 quickly located Skier 1 (estimated 5 minutes). 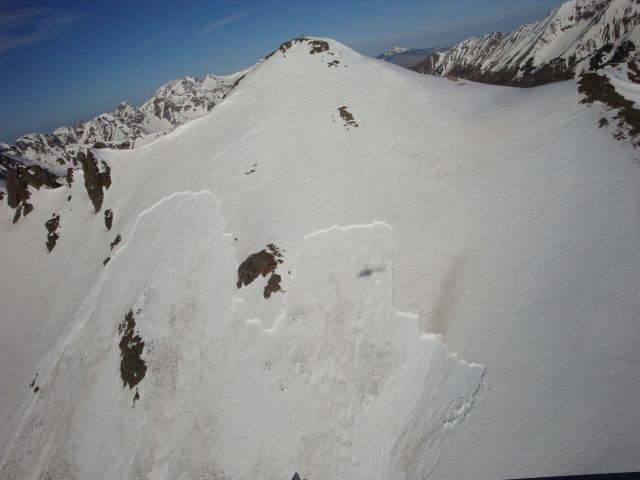 A small piece of Skier 1’s backpack was visible near the snow surface. 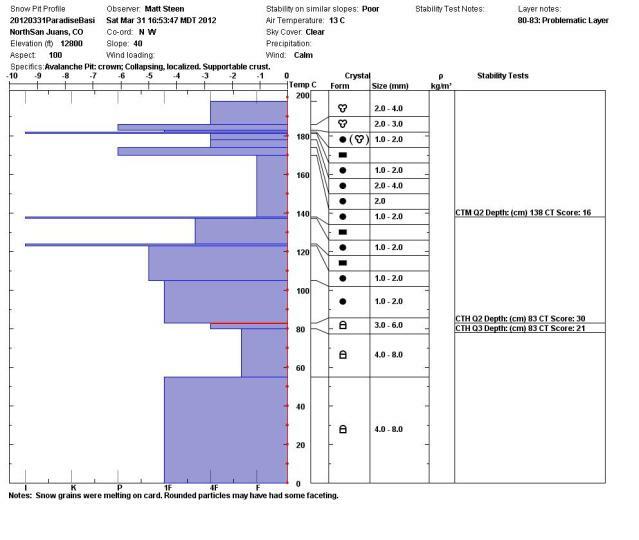 Skier 2 rapidly dug out Skier 1’s upper body, cleared his airway and began to administer CPR. Skier 2 continued CPR until backup arrived roughly 30 minutes later. 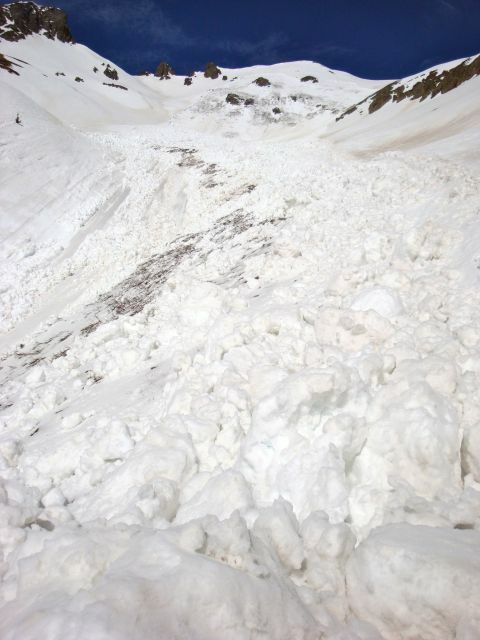 Members of the group back at the Opus hut noticed avalanche debris in the valley below the hut. They notified the hut owner, who was at the hut doing maintenance. 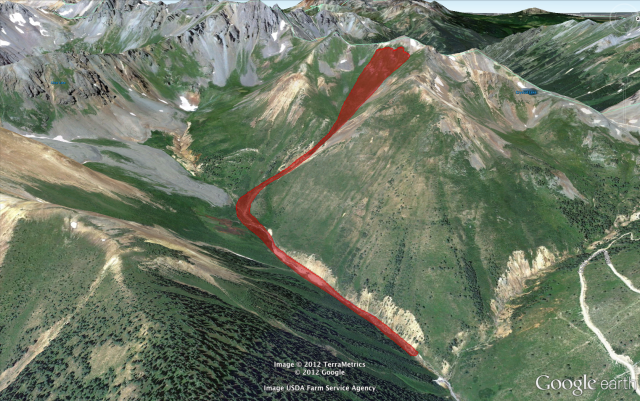 The hut owner called Telluride Helitrax, who notified San Miguel County dispatch. A search and rescue effort was launched at 4:40 PM. Helitrax began by shuttling a guide, 5 professional skiers, and a film crew to the upper northeast ridge adjacent to the avalanche. Flight for Life was dispatched from Durango to Silverton. 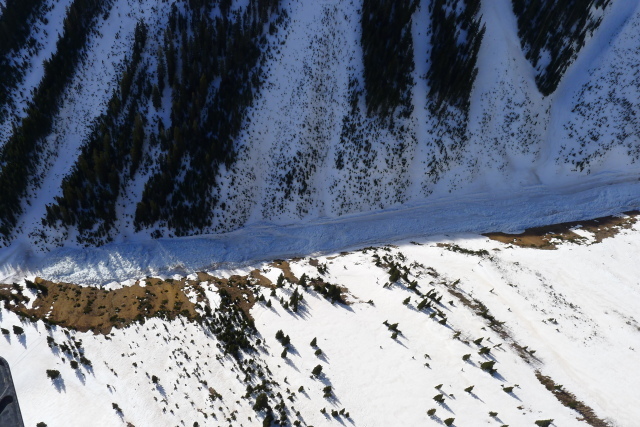 Within the next 45 minutes, Helitrax delivered an additional 9 people, including a second Helitrax guide, 3 Telluride Ski Patrol members with 2 avalanche rescue dogs, and 5 San Miguel County search and rescue members to the upper northeast ridge. Members of the original ski group also joined the rescue effort. 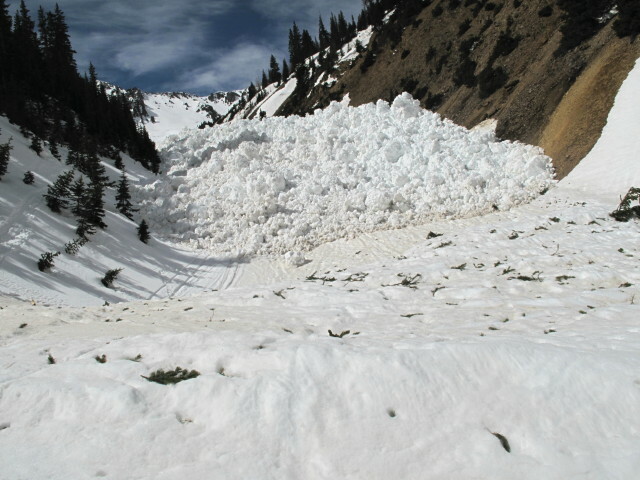 Rescuers began searching from the top of the avalanche. The first rescuers did not arrive at the lower section of debris for some time (~30 minutes). 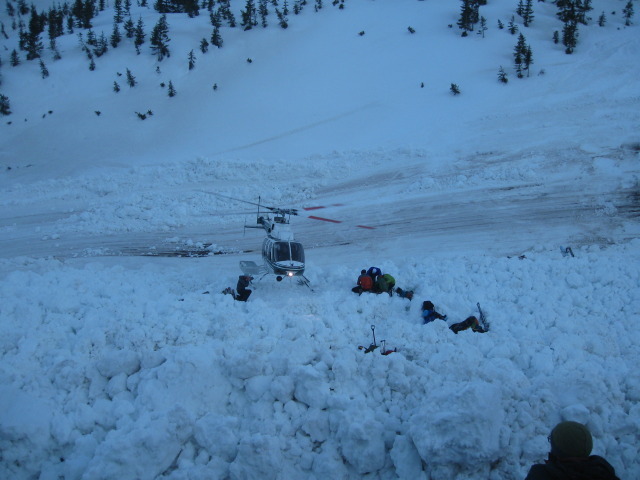 By the time the first rescuer arrived at the burial site, Skier 2 (rescuer) was exhausted (from the search and administrating single rescuer CPR). 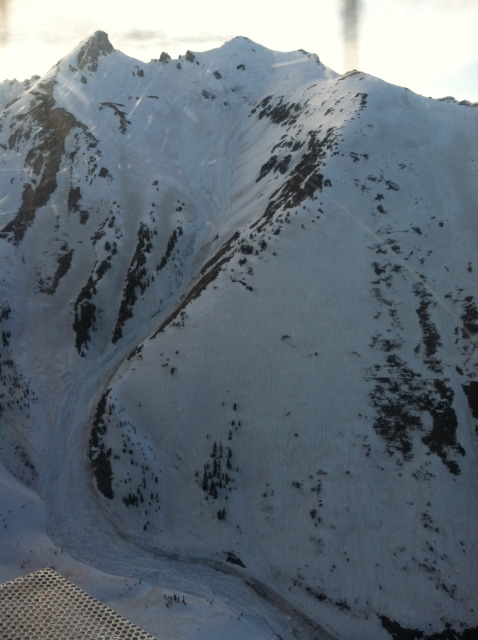 The rescue group continued to perform CPR but was unable to revive Skier 1. In many accidents, a series of small factors contribute to a tragic outcome. The group of 4 left the hut for a quick afternoon ski tour. They planned to ski a northeast facing slope. 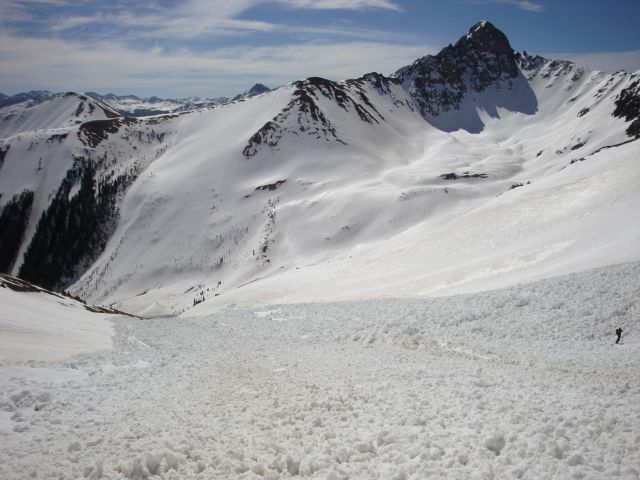 While they were ascending, Skier 1 became interested in skiing a southeast aspect. A series of disappointing events had limited Skier 1’s skiing over the winter and the group members were reluctant to dampen his enthusiasm. Thus, while some of the group members were not in favor of skiing a southeast aspect that afternoon, they did not object to the change in plan. In retrospect, several people in the group said they had not been in the area long enough to evaluate the stability of the larger, southeast facing slope where the accident occurred. 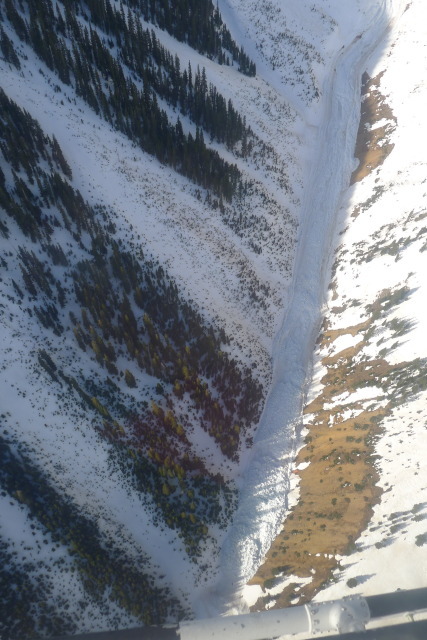 Figure 22: Fracture Line Profile - Ophir Pass/Paradise Basin slide.